It’s fall, y’all, and South Carolina is the place to be for fun festivals, fairs and fields of pumpkins just waiting to be picked and turned into Jack O’ Lanterns. It’s difficult to narrow it down to 5 Favorite Fall Activites in South Carolina because there’s so many that I would love to attend. But I did! Here are my top five. McLeod Farms, family owned and operated since 1916, is one of the largest growers of peaches in the southeast. (You’ve got to try their peach empanadas!). They also have a large display of vintage tractors and cars. They host a strawberry festival in May and a peach festival in July. At this time of the year, they’re known for their fall festival and it takes place on October 24th. There’s a corn maze, pumpkin picking, hayrides, food and lots of family fun. This is an award‑winning family festival with an antique/classic car show, entertainment, balloon release, clowns, mimes, crafters and lots of products and foods made from one of my favorite foods, the sweet potato. This festival kicks off with a parade at 9:00 AM. They have rides for the kids, BBQ, country/bluegrass musicians, and beautiful homemade crafts. Fall wouldn’t be complete without an annual trip to the SC State Fair. From Funnel Cakes to Ferris Wheels, there’s something for everyone at the fair. My favorite is the homemade cinnamon donuts in a brown paper bag. Yum! There are 12 days of exhibits, competitions, food, midway rides and big-name entertainment. It’s ranked one of the Top 50 fairs in the United States. 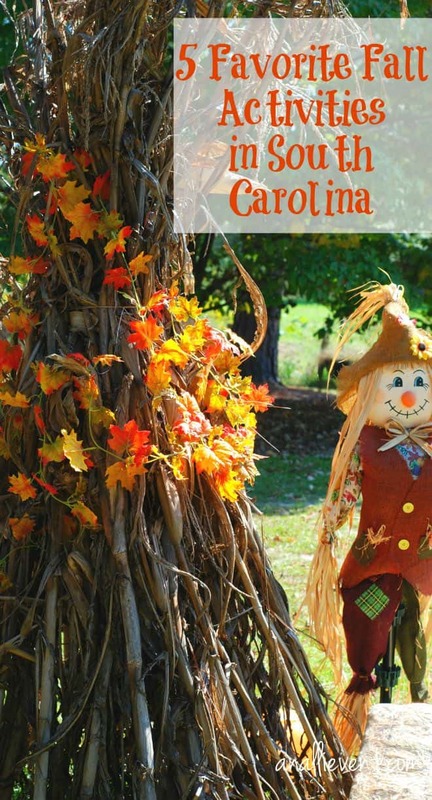 That’s my top 5 picks for fall activities in SC. What’s your favorite fall activity? Apparently South Carolina is the place to be! I have so many friends and family that have left Upstate NY to live there. I’ve driven through on my way to Florida but never spent any time there. Stephanie recently posted…Chipotle Tofu Mac n’ Cheese Recipe & Nasoya Tofu Giveaway! Those are great suggestions, even for those just driving through. My favorite thing about fall is the cooler weather, I like to open the windows. I love the season of Fall. There is so much to do in a little time. One of things that we do is go apple picking and jump on a hayride. Kids love it! I would be all about that Sweet Potato Festival LOL I have some friends who just moved to SC, though, so I’m sharing this with them! Sounds fun! I have to get my kiddos to a pumpkin patch this year! Love this time of year! Peach empanadas sound amazing! Wow so much to do!! I can’t wait for the craved pumpkin event here in RI. It’s called Spectacular and it is! I like the sweet potato one the best! Sounds like so much fun! And I would definitely be a fan of tasting all things sweet potatoes. Oh I love the Carolinas, lived in Raleigh for years, and now we’re back in Miami and I so miss the Fall very much. Would love to attend one of these events! Wow all of the events sound amazing, and I love that they each have foods to help make the occasion special! Peach empanadas and funnel cakes.. South Carolina here I come! We usually do the Boone Hall Farms Pumpkin Patch in Mount Pleasant since it’s so close, but I’ve done several of these in the past! When I was in grad school at USC, I loved going to the fair for lunch. 🙂 And the Pumpkintown Festival was a favorite when I was little! We’ve got so many fun fall activities in our area. I’m ready for the fall temperatures to get here so we can enjoy them! 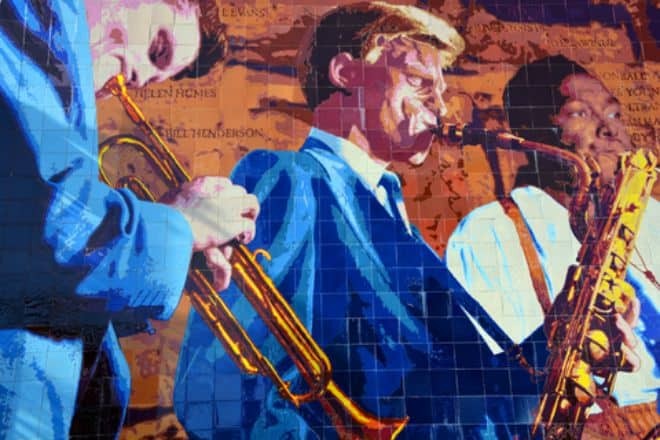 I have never heard of the jazz festival but this is a great round up of fall fun. 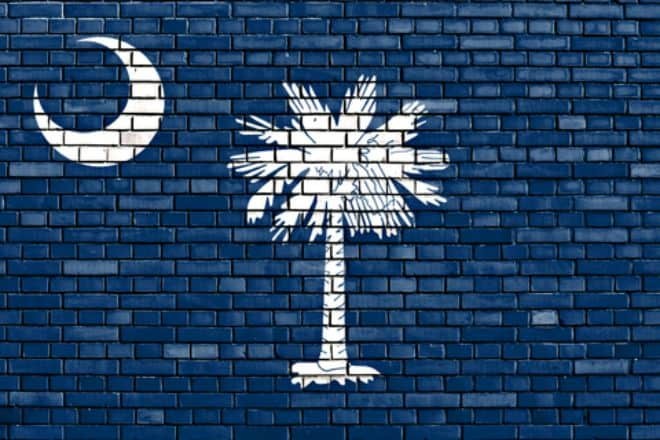 South Carolina and Charleston are areas I have been wanting to visit. South Carolina has a lot to offer this fall! Looks fun and interesting, particularly the Jazz Festival 🙂 Ohh, I can just imagine how the place will be filled with music! One of thing i missed the most from the States is fall and how pretty they look. Living in the tropics, seeing autumn then winter was amazing but not really digging the winter 😀 I’ve only driven passed through South Carolina but your list looks amazing and I bet everyone will have fun. Wow. I wish we also had fall in PH. It looks fun and interesting! I’d love to take pictures and experience South Carolina soon. So many great family activities. I would love to go to this state fair, sounds like fun! That Sweet Potato festival sounds like it would be up my alley…I love sweet potatoes! These are some fantastic events! The sounds like great activities. I love fall festivals! The pumpkin festival sounds awesome. I remember years ago going to one and the biggest pumpkin was like 565lbs! Crazy! I’ll look into it and see what the problem is. So sorry for the inconvenience.